Eight men have been convicted for their involvement in terrorism training camps in the UK - including those attended by the men responsible for the failed suicide bombings of 21 July 2005. The prosecution began after police and MI5 launched a major covert operation, including placing an undercover officer at the heart of the group they were investigating. But what were the camps, and where did they take place? Mohammed Hamid's 2004 Camp in Cumbria. Mohammed Hamid organised camps around the country. He said these were bonding sessions to bring together Muslim men who felt vulnerable after 9/11. But police say he was trying to recruit and train young men for violent jihad. 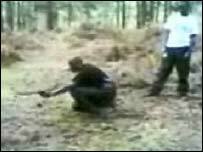 In May 2004 police officers took pictures of a large camp at Baysbrown Farm in the Lake District. The pictures included the four men who would later be responsible for the failed bomb attacks of 21 July 2005. These pictures - 14 months before the attacks - led to surveillance of Hamid's activities back in London. Hamid organised two more camps in Cumbria which featured in the trial. The last on 17 August 2004 included 21/7 ringleader Muktar Ibrahim. MI5 officers covertly filmed this gathering. While the prosecution say these early camps were important in setting the scene, the jury found Hamid not guilty of providing weapons training in Cumbria. Hamid's powerbase was his own living room, a bookshop and ad hoc preaching stalls around London. 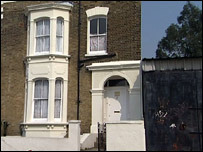 Hamid invited young Muslim men to weekly talks at his home, including some of the men responsible for the 21/7 attacks. Hamid and Atilla Ahmet, guilty of soliciting to murder, would tell the gatherings that they needed to stand up against the enemies of Islam - that they needed to prepare for a coming conflict. Ahmet, who had been the right-hand man to jailed preacher Abu Hamza, was described to the men as the "emir" or leader of the inner circle. After the 2005 attacks, MI5 placed a bug in the house, supported from April 2006 by an undercover officer known only as Dawood. It was his job to infiltrate the group and gather evidence critical for a trial. Hamid told the trial that he was shocked by the events of 21/7 and that people he knew had been arrested. 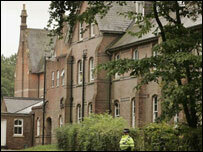 But his talks continued - and in the year to come the prosecution said Hamid focused on radicalising many more young men. Three camps in 2006 in the New Forest formed a key part of the trial's evidence. The men filmed themselves on mobile phone cameras taking part in simulated military exercises, including positioning and moving with a rifle and other manoeuvres. During the trial Hamid said that these films did not constitute terrorism training. But in one conversation revealed during the trial, Hamid bragged to the other men of being well-connected with mujahideen groups in Afghanistan. He said he had sent three men from Britain to fight. On the return journey after one of these New Forest trips, the group, including undercover officer Dawood, passed London's Paddington Green police station, used for terrorism-related arrests. "Here is your terrorist," said Hamid, as they drove past. Kader Ahmed, the youngest man in the trial, was found guilty of attending one of the New Forest camps and not guilty of attending another. Hamid organised paintballing days out as part of his activities for the group. One of these trips was filmed in February 2005 by a BBC documentary team, which had come into contact with Hamid at one of his street preaching stalls. The BBC filmed Hamid, some of the defendants and other men at a Kent paintballing centre for a documentary called Don't Panic, I'm Islamic. One of the men who was filmed, Mousa Brown, was cleared by the jury of all charges. Other men filmed by the BBC were not accused of involvement in Hamid's plans. Hamid and Atilla Ahmet took large groups, sometimes including children, to the sprawling grounds of an Islamic school in the Kent countryside. There is no suggestion that the school's management were involved in Hamid's camps. But these camping trips played a key part in the radicalisation of young men. At another of these gatherings, Atilla Ahmet sang a song to the children on the weekend camp. Using the calypso tune of The Banana Boat Song, the trial heard the lyrics were: "Come Mr Taliban, come bomb England, before the daylight come, you wanna see Downing Street done." 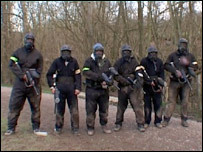 In March 2006 Hamid organised a paintballing trip to a centre in St Albans. Hamid told the centre manager that he wanted his 19 men to play separately from other people. The manager later told the police this was unusual, but he agreed to avoid argument. When the manager watched them playing, she thought they were so well organised she thought they looked like "an Al Qaeda training camp". Another location used by Hamid for a paintballing trip was a centre near White Waltham, Berkshire, in June 2006. Undercover officer Dawood went on this expedition and realised that Hamid had been using this site for years. Hamid split the group into two and told them the day was for serious training "similar to jihad" rather than fun in the woods. The day, he said, was "in preparation for the real thing".